Powaflex acrylic plaster is a fibre reinforced, organic base coat with increased impact strength and crack resistance that is designed for our unique construction methods and harsh environment. Powaflex acrylic plaster is specially developed in NZ by Specialized Construction Products Ltd. Specialized Construction Products Ltd Powaflex Plaster System is a plaster system you can trust. One you can trust for quality, strength, flexibility and long-term performance. Powaflex acrylic plaster is specially developed in NZ by Specialized Construction Products, Powaflex acrylic plaster is a fibre reinforced, organic base coat with increased impact strength and crack resistance that is designed for our unique construction methods and harsh environment. 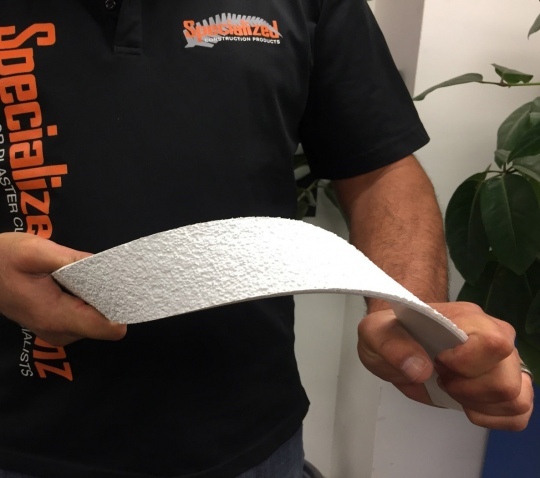 Thanks to its European polymer technology Powaflex has incredible flexibility whilst retaining its strength to provide a durable exterior plaster that allows for increased façade movement and impact resistance. Applied by hand or pump in conjunction with Specialized premium 160gsm fibreglass mesh and then covered with one of Specialized Construction Products Ltd acrylic finishing plasters the Powaflex system will give your home a highly flexible long lasting finish. Specialized Construction Products Ltd has full specifications for the Powaflex Plaster System for application over new substrates or existing substrates as a repair specification.